Draws less than one amp of power when on. If you purchase 2 led driving light and also purchase the Attachment we will throw in a second attachment for the second light for free. 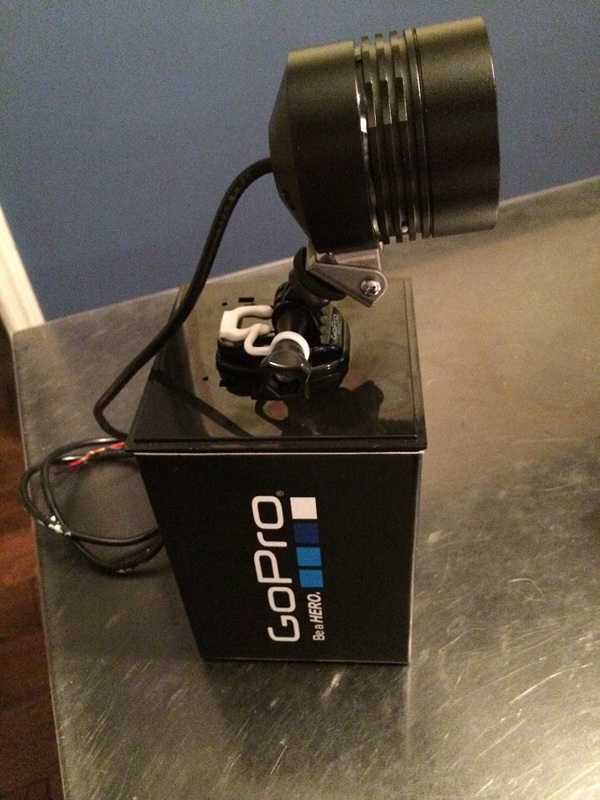 If you have a GoPro and GoPro mounts and you are looking for a quick easy way to attach/remove the driving lighting the "GoPro attachment" will make this a breeze to do. Shown below on a GoPro mounting bracket and quick connect. After purchasing please send us some pictures after the light is installed so we can show the variety of mounting locations on each bike.